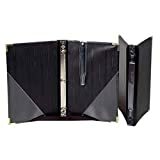 A 7-3/4 x 11 choral folder with elastic string holders. Holds octavo-size chorals. This top of the line concert folder is 9-1/4 x 12, set up as a 3-ring binder. Available in black. 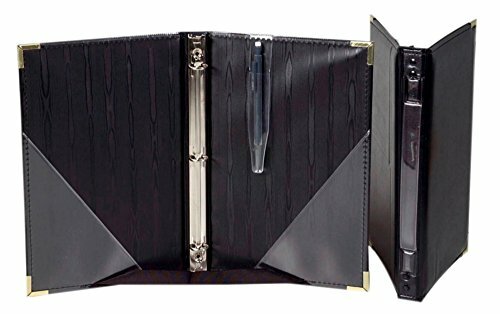 Premium Vegan leather and softly padded cover Choral Music Folio Folder. 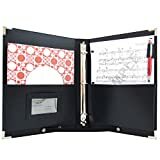 A 7-3/4 x 11 choral folder with built-in 3-ring binder. Holds octavo-size chorals.